In India, we have been completely as one of the largest choices for egg donors of all IVF Surrogacy centers in India. As our egg donor database provide a wide selection of egg donors from different parts of India and the world, we have also more than 70 donors listed with us and ready to donate for you. Through our presence in New Delhi and our upcoming centres in different parts of India and Africa, we put forward wide choices of Indian egg donors. We also offer Indian Premium donors who are University students, Graduates and Post graduates – Mostly working women with great looks. Also with our International Donor agency partners, we also offer Caucasian, African, Spanish, Japanese and other race egg donors. With no additional words to come with, it is really bent for the medical arena to have eased inhalation of healthy living. Yes, there is available every kind of medical treatments in the world considering one get the Disease extinct from their lives. Not only does the medicine become effective in eradicating disease out of one’s lives, but also to make possible unfeasible medical disorder such as infertility by its regular updates of remedy. These are the females from middle class of India who are normally primary educated, with normal physical characteristics, height between 5 feet to 5 feet 5 inches, weight proportion according to their height. 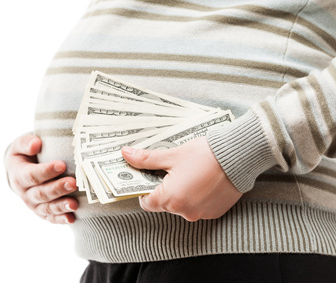 All of our donors selected in our donor program are highly fertile and are willing to donate for you. If you are just researching or ready to choose your donor, we are here to help as we have our Indian Egg Donor Regular’s database that could be viewed initially in its entirety, Once you have decided to pursue IVF or Surrogacy with an Indian egg donor, you may get us one-stop destination in India. Without delay, we are liable to send you egg donor profiles of our Regular Indian Egg Donors for donating. These are Females from the higher middle class of India who are normally University students, Graduates, Post Graduates, Lawyer / Medical interns with great physical characteristics, height between 5 feet 4 inches to 5 feet 9 inches, weight proportion according to their height. All of our donors selected in our donor program are highly fertile and are eager to donate for you. All the donors are enthused as per your arrival schedule in India and they donate fresh for you. We provide the best conditions for both egg donors as we have the largest and most comprehensive egg donor database where each donor is cautiously screened and personally interviewed. For Caucasian Egg Donor, we have contacts with multiple agencies. These donors come from various nations including South Africa, Spain, Europe, Georgia and Ukraine. Yes, we have been running our Caucasian egg donor program for many years, so has been famous among infertile couples worldwide. After thorough discussion over exclusive database of egg donors available at us, we also bank best for reliable fertility treatments and solutions covering every type of infertility issue to get treated well. At us, we bring our one of our fertility services, known as egg sharing. Click to Get Donor Profiles! This is an IVF treatment that brings together women having conventional IVF with those unable to produce their own eggs. Egg-sharing facilitates these two groups of women to assist one another – egg-sharers get reduced cost IVF treatment, whilst recipients receive the eggs they need for IVF. At us, our egg sharing program anonymously arranges women willing IVF treatment for the different reasons. One woman is likely to make plenty of eggs, but is fighting to afford her very expensive treatment. Also the other woman cannot have treatment at all without a gift of donor eggs. Really, it provides to women the opportunity to help themselves and at the same time assist another in desperate need. The egg share donor will receive free IVF treatment when she donates half of the eggs collected from her own IVF cycle to an anonymous recipient. To turn into an egg-sharer, you will need to be 32 or under. But not everyone will be eligible, so before applying it\\\\\\\’s worth checking if you fulfill the additional criteria established by us. Though Egg sharing has become very popular, but it becomes especially as a fertility treatment for single women. Who is eligible to participate in Egg Sharing? At us, egg share providers must be non-smokers aged between 18 and 35, with a body mass index (BMI) of less than 30. We screen all sharers to make sure that they are free of infections, diseases or genetic conditions that might be transmitted. Also we ask them about their medical and family history, and execute a medical examination and the blood tests. In addition, the potential egg sharer and her partner will get counseling and have the chance to discuss all the implications of egg sharing. Who is Eligible to have Egg Sharing? With genetic conditions they do not want to risk passing on to children. 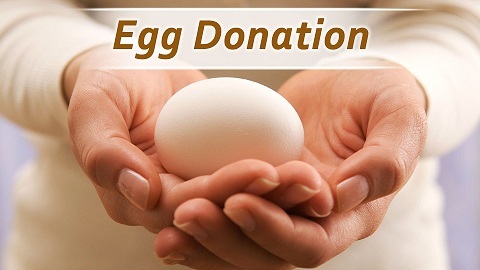 Provide free or subsidized IVF treatment to women who are eligible to become egg sharers. Avail a safe India based option for women requiring eggs, eliminating the need for travel abroad. Remove dependence on non-patient sharers, thus eliminating IVF-related risks and unnecessary medical intervention for this group of women. Help mutual help between women – ‘practical altruism’. The egg share provider experiences ovarian stimulation treatment, as normal for a cycle of IVF. After the eggs are collected, they are shared between the donor and the recipient. The minimum number of eggs for sharing is usually eight. The priority is that the donor becomes pregnant, so if an insufficient number of eggs are collected, the egg sharing will not go ahead. In these cases, the potential egg sharer will keep all of her eggs and still be given that IVF cycle free of charge. The donor’s eggs are inseminated with her partner’s sperm, and the eggs given to the recipient are inseminated with the sperm of the recipient’s partner. 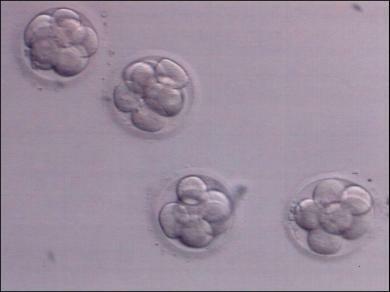 Each couple could be likely to have their own embryos transferred in a very carefully controlled process. Embryo donation is a type of fertility treatment used to help couples to conceive. This is when eggs from a donor are fertilized with your partner’s sperm in a laboratory dish. The resulting embryos are then transferred to your uterus. Embryo donation is an option if you and your partner need both egg and sperm donation, or if you are a single woman who cannot use your own eggs. Embryos are usually donated by couples who have successfully had their baby or babies from IVF and who want to help other couples. If you have no ovaries, generate low-quality eggs, or no eggs at all. This may be owing to premature menopause, an inherited condition, or treatment for cancer using chemotherapy. If you are in your 40s, as you have a low chance of success with assisted conception treatments using your own eggs. This is due to egg quality declines with age. If you and your partner have been unsuccessful with other treatments. If you are at risk of passing on an inherited disorder. If you have the chromosomal abnormality Turner syndrome and have a high risk of bearing a child with a genetic disorder.